Four decades have passed since the first small step on the dusty surface of our nearest neighbor in the solar system in 1969. It has been almost that long since the last man to walk on the Moon did so in late 1972. The Apollo missions were a stunning technological achievement and a significant Cold War victory for the United States. However, despite the hope of observers at the time — and despite the nostalgia and mythology that now cloud our memory — Apollo was not the first step into a grand human future in space. From the perspective of forty years, Apollo, for all its glory, can now be seen as a detour away from a sustainable human presence in space. By and large, the NASA programs that succeeded Apollo have kept us heading down that wrong path: Toward more bureaucracy. Toward higher costs. And away from innovation, from risk-taking, and from any concept of space as a useful place. In a sense, Apollo occurred too soon. Had you asked the boldest science fiction writers in, say, 1954 whether men would walk on the Moon within a decade and a half, they would have scoffed — and justifiably so. Even though writers of fiction and nonfiction alike had theorized for decades about putting objects into orbit, and even though work was already underway in 1954 to put the first small unmanned satellites into orbit, the notion that we could develop so rapidly the capability to put men on the Moon on a politically feasible budget would have seemed ludicrous. 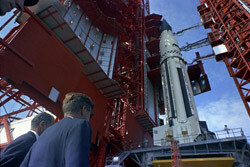 President Kennedy visiting Cape Canaveral six days before his assassination. Unforeseeable in 1954 were the historical contingencies that led to the Apollo program’s conception: the panicked public reaction to Sputnik in the United States in 1957; the young and charismatic Cold War president who ran and won on the issue of a “missile gap” with the Soviet Union in 1960; the Soviets’ success in putting the first man in orbit in the third month of the young presidency; and that president’s humiliation at the Bay of Pigs. And who could have known that, just thirty months after announcing the goal “before this decade is out, of landing a man on the Moon and returning him safely to the Earth,” the young president would be cut down — leaving the nation, and the next president, to meet the goal now consecrated to his memory? And that has been NASA’s fundamental problem ever since. The American people and their representatives in Congress are just not that interested in space, and never have been, going all the way back to Apollo. And it shows in our space policy, which has from the start been confused and contradictory. Apollo inadvertently and quite unfortunately established the paradigm for how the United States would conduct human spaceflight: a government agency would be given a large budget, make plans for the next major steps, determine the single best way to carry them out, and hire contractors to implement the plan. It was essentially the same way the Russians ran their space program, except instead of competing contractors the Soviets had competing design bureaus. In fact, the Soviets’ program was similar enough to the Americans’ that they might have beaten us to the Moon. It truly was a race, and potentially a close one, despite claims by some revisionists that the adversaries were never really racing at all. The Apollo 1 fire that killed three astronauts on the launch pad in 1967 was a major setback; it took extraordinary efforts and a major redesign to get NASA back on track to meet the goal in 1969. The gutsy decision to send the Apollo 8 astronauts around the Moon at Christmas in 1968, given the shaky (literally) track record of the Saturn V rocket at the time, was made partly out of fear that the Soviets were about to beat us to that accomplishment, if not actually land. Today’s NASA would never take such a gamble, because space, unlike the Cold War, is not deemed sufficiently important to risk astronauts’ lives in that way. With the end of Apollo, NASA had a problem. It had established a vast infrastructure for conducting human spaceflight, with lots of jobs in politically sensitive congressional districts and states — primarily Florida, Texas, Alabama, and California. The location of many of those jobs was a result of an unspoken goal of the Apollo program: Lyndon Johnson’s desire to use it as a means to industrialize the South. But as Apollo wound down, the agency had nothing to do with its hard-won capabilities, and if it started layoffs, it would be sending engineers into a rough job market in the wake of post-Vietnam defense cuts. So the agency lobbied for something new to do. There was certainly no shortage of proposals. In September 1969, just two months after the first Moon landing, a Space Task Group led by Vice President Spiro Agnew suggested options for NASA’s future that included lunar bases by the end of the 1970s and a manned mission to Mars in the mid-1980s, including a reusable launch system to make it all possible. This grand plan was a dud — but it helped kick off studies internal to NASA of a reusable vehicle that could dramatically reduce the cost of access to space. Officially dubbed the National Space Transportation System but better known as the space shuttle, this reusable vehicle would serve all of the nation’s launch needs: those of NASA, of the commercial space sector (to the limited degree that such a thing existed at the time), and of the military. The latter, the potential military applications of the shuttle, especially appealed to President Nixon and to conservatives in Congress. And so, in 1972 — as the Apollo lunar missions were winding down and the final Apollo-related missions (three manned trips to the Skylab station, and a joint mission with the Soviets) were in preparation — President Nixon gave NASA the green light to develop the space shuttle. We now know that the shuttle was a mistake. It has not lowered the cost of access to space; it has not made access to space more routine; it has not proven safe. The shuttle had to meet too many requirements — it had to be everything for everyone, but on an insufficient budget to do all that was required. Because it had to carry a certain class of classified military payloads, it was very big. Because it originally had no space station to go to, it had to serve as a sort of mini-station itself with a multi-day orbital capability. Early plans to launch the shuttle with booster rockets that could fly back and land on a runway were scrapped in favor of solid rocket boosters that parachuted into the ocean; these had a much higher recurring cost, and one of them destroyed Challenger in 1986. Because of the payload requirement and the lack of funding, the shuttle uses an external fuel tank (the tall, rust-colored part of the shuttle) that is just discarded after each launch; this wastefulness dramatically increased costs, and the tank’s foam insulation was responsible for the loss of Columbia in 2003. Similar problems characterized the history of the space station. Plans for a space station had been on drawing boards since the 1960s, and one of the declared purposes of the space shuttle was to build and service a station — but it wasn’t until the shuttle started flying in the early 1980s that the idea of a station acquired any political momentum because, once again, NASA needed work to keep its cafeterias and parking lots full in Houston and Huntsville and Titusville. Because of the cost, only a single space station was considered affordable; that meant, like the shuttle, the one station would have to do everything for everybody; that, in turn, resulted in conflicting requirements that raised costs even further; and so in the end it became a self-fulfilling prophecy that only one station would be affordable. President Ronald Reagan announced the plans for a space station in 1984. It was supposed to be built in time for the Columbus quincentennial in 1992, but the first piece of hardware for it wasn’t even launched until 1998. But no one was fired. No one lost an election because the space station wasn’t flying in 1992. Because it wasn’t really important to have a space station. All that was important was to have a space station program, with all that entailed for jobs in all the right states and congressional districts. For years, the space station program gave the appearance of a nation advancing in space even though we were making no discernible progress toward actually building a space station. In fact, the space station program almost died in 1993, barely surviving a congressional effort to end it, after which the Clinton administration transformed the planned station into a tool of diplomacy. As Vice President Al Gore, the chief supporter of this idea, put it, the new International Space Station would promote “international cooperation.” In less lofty terms, it was to be a foreign aid program for Russia, paid out of NASA’s budget instead of the State Department’s. The aim was to provide subsidies to Russian engineers and scientists to keep them from helping Iran and North Korea develop nuclear and missile technology (some wags called it “midnight basketball for the Russians”). It didn’t work: the Russians continued to supply rogue regimes with weaponry and technology. And now, there were new reasons for slowdowns in the space station’s schedule, as NASA had to wait for its international partners to deliver their hardware — sometimes delayed because money sent to the Russian space program ended up being spent on yachts, Mercedes, and dachas. Today, more than twenty-five years after President Reagan first announced plans for a space station, the International Space Station is still under construction. Leading up to the decisions that locked the United States into the shuttle program and then the space station, there were debates and proposals about what NASA should do next — but almost no public discussion of what, concretely, we were trying to accomplish in space. This is the fundamental problem of American space policy: there is no consensus on why we should bother with space at all, and such a consensus is stymied by the fact that those few people who do care about manned spaceflight disagree about why it’s worthwhile. Some people argue that we should go to space for science; others say we should go for the international prestige, or for the sheer adventure, or for the resources we might find; still others say we should go to inspire future generations. Some think all American hopes for spaceflight rest in NASA; others think NASA is a dinosaur and only the private sector can sustain manned spaceflight. And so for most of the last forty years, in the absence of a consensus about why we should go to space, the how has been an afterthought. Policy decisions have just been carried along on the tide of current events and politics and personalities, with no overarching strategic purpose and with no definitive goal other than the preservation of jobs. If you don’t much care where you’re going, “it doesn’t matter which way you go,” as the Cheshire Cat said to Alice. If it had not been for the Columbia disaster in 2003, NASA would have continued to launch space shuttles uninterrupted and to build the space station, which would likely have been completed by now. Perhaps once the station was finished, policymakers might have looked around and wondered what NASA should do next. The old paradigm of the shuttle and station would have run its course. But Columbia burned up with its crew in the early morning Texas sky, and even the staunchest defenders of the space shuttle had to throw in the towel and admit the time had come for a major change in the space program. The Bush administration determined that what NASA needed was a new destination. We had literally been flying in circles around Earth for over thirty years; it was time to get on with heading out into the cosmos. There was never much informed public discussion about what NASA was supposed to do when it got there — what seemed important was just for it to have a place to go. Thus was born the Vision for Space Exploration, a very broad policy outline for NASA announced by President Bush in early 2004. The space shuttle would be retired in 2010 and succeeded by something called a “Crew Exploration Vehicle,” which NASA would use to send astronauts “to the Moon, Mars, and beyond.” It was expected that this new vehicle would be available a decade later, by 2014 — four years after the shuttle’s retirement, meaning that there would be a four-year gap during which we would have to rely on the Russians to get American astronauts to and from the International Space Station. Americans would once again walk on the Moon by 2020, and those lunar missions would give us “experience and knowledge,” as President Bush put it, that we could use for subsequent “human missions to Mars and to worlds beyond.” All of this would be done within a specified budget profile (nicknamed the “sand chart” because of its appearance; see chart at right). To help NASA fill in the details of this broad outline, President Bush appointed a commission, headed by Edward “Pete” Aldridge, former Secretary of the Air Force, chief executive of the Aerospace Corporation, and Under Secretary of Defense Acquisition, among other noteworthy accomplishments. In mid-2004, the commission issued a report with recommendations for NASA. One was particularly controversial and would have represented a major change for the space agency — a recommendation that NASA’s centers in Texas, Alabama, Florida, and elsewhere be converted to Federally Funded Research and Development Centers (FFRDCs), and that their employees would no longer be civil servants. This is the model on which the RAND Corporation and the Aerospace Corporation are based. Only one of NASA’s ten centers, the Jet Propulsion Laboratory, follows this model — which means that its employees are not federal civil servants but are subject to the same hiring, firing, and compensation rules as the private sector; they also have a pension plan separate from that for the civil servants at the rest of the NASA centers. At least in theory, this proposal would free NASA to hire and compensate the best employees and trim deadwood, rather than having to operate under the stifling and non-competitive rules of the civil service. There was great resistance, from both NASA and its patrons in Congress, to this particular recommendation; the fact that it was completely ignored may have made it easier to ignore many of the other recommendations as well. The Aldridge commission’s most vital recommendations were, first, that NASA should invite a great deal of participation from the commercial sector; second, that the new vision should support national security needs; and, most importantly, that the vision should be “affordable and sustainable.” Less helpfully, the commission also called for NASA to seek international involvement — a practice that, if pursued for its own sake, as with the space station, would hinder useful progress — and for the vision to use a heavy-lift launch system (about which, more in a moment). Like most of the space commissions that came before it, the Aldridge commission was not asked to define or even discuss the ultimate goal or purpose of this new venture into space. As major NASA programs go, it actually didn’t start out badly. NASA Administrator Sean O’Keefe assigned Navy Admiral Craig E. Steidle to head the program. Steidle had managed the Joint Strike Fighter (JSF) program for the Pentagon, in which the winner had been chosen in a “fly-off,” with both competing contractors actually flying prototypes before the ultimate winner was chosen. This was his plan for NASA’s new Crew Exploration Vehicle as well. He also imported from the JSF program a management concept called “spiral development,” in which a vehicle design would be continuously improved to allow the incorporation of new technologies and expand its mission capability over time. (As Robert Zubrin has noted in these pages, however, the spiral development strategy may have been unnecessarily complicated.) Admiral Steidle also kicked off a Research and Technology program that would provide the foundation for advanced activities both in orbit and at the destinations, such as techniques for transferring propellant while in orbit, or for processing lunar materials to obtain useful resources. In addition, Admiral Steidle commissioned a set of studies called Concept Exploration and Refinement (CE&R) to help determine what the overall exploration architecture should look like. Among the eleven CE&R contractors were the aerospace industry giants like Boeing (for whose study I worked as a consultant), Northrop Grumman, and Lockheed Martin. But some of the CE&R contracts were awarded to much smaller upstarts, like Andrews Space, Inc. and t/Space, an ad hoc consortium of loosely allied “New Space” companies including Burt Rutan’s Scaled Composites, AirLaunch LLC, and others. Among the interesting proposals in the CE&R studies was the idea of using fuel depots in low Earth orbit and elsewhere to extend the capabilities of a heavy-lift launch vehicle — or to eliminate the need for one altogether. The CE&R studies also offered heavy-lift variations on existing shuttle launch systems, on the Atlas and Delta rockets, and others. And, in keeping with the Aldridge commission’s recommendations, the CE&R studies included proposals for heavy commercial participation. Unfortunately, NASA was in some internal turmoil at the time. Administrator O’Keefe, who had been the one to tell the families of the Columbia astronauts that their loved ones wouldn’t be returning home, seemed to have lost his heart for the job — not that it was ever a job he had especially coveted. He had also become extremely risk-averse, canceling a mission to repair the Hubble Space Telescope because he didn’t want to hazard the lives of another shuttle crew (though that mission was later reinstated). In December 2004, eleven months after the Vision for Space Exploration had been announced, O’Keefe resigned from NASA. 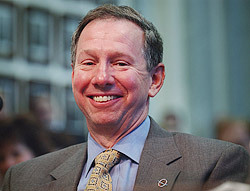 In the spring of 2005, Michael Griffin was selected by the Bush administration as the administrator tasked with implementing the new vision for NASA. If you called central casting to find someone to play the head of the world’s largest space agency, they would likely come up with someone very like Mike Griffin. Holder of multiple graduate degrees in science, engineering, and business, he literally wrote the book on space systems engineering. It would be hard to find a more compelling résumé: Griffin had worked in commercial space companies, both startups and established, had been a NASA associate administrator in the early 1990s (in charge of studies about potential lunar outposts), managed the CIA’s technology venture fund, ran a space research lab, and more. Once he was sworn in as NASA’s new administrator, the Bush White House seemed to consider its involvement in NASA’s new course complete; Griffin was essentially given free rein to implement the Vision for Space Exploration. Immediately upon taking over as administrator, Griffin reassigned Admiral Steidle (who resigned shortly thereafter) and ordered a new study to determine the best architecture to carry out the president’s vision. (The CE&R contractors came to understand that their reports were apparently tainted by association with NASA’s former regime and were doomed simply to gather dust.) The results of this new Exploration Systems Architecture Study (ESAS) were announced in September 2005, and unsurprisingly, they bore a striking resemblance to the proposal that Griffin had presented the previous year. This architecture included “The Stick” (later named Ares I); it included a heavy-lift vehicle derived from Stick components, called Ares IV (which later morphed into the Ares V); and it included the Crew Exploration Vehicle (later named Orion). Other components, like the lunar lander and the Earth Departure Stage, were less well defined since they were farther out in development. Collectively, this mission architecture would come to be called Constellation — although Griffin more aptly and memorably called it “Apollo on steroids.” The proposed Crew Exploration Vehicle in particular strongly resembled the Apollo capsule and service module, except that the new spacecraft would be larger and was originally intended to land on solid ground instead of in the water. In theory, the new vehicle would put all of the lunar surface within reach, would allow longer stays on the Moon than did the Apollo missions, and would be capable of taking four astronauts (instead of Apollo’s three) to lunar orbit. Over the next three years, the proposed architecture confronted major technical and budgetary challenges — chiefly involving the Ares I launch vehicle, which very quickly belied any pretense of being “safe, simple, soon.” To understand just how badly off course the Constellation program went, it is necessary to briefly delve into its technical evolution. Second, NASA determined that it would be too costly to use and expend the existing space shuttle main engines on the upper stage of the vehicle. Even converting those engines so that they could work on the upper stage of the launch vehicle would be too expensive. (On the shuttle system those engines start burning at liftoff with assistance from ground-support equipment, but in the Ares I they would have to be “air-startable” — beginning their burn after first-stage separation, with a second start after a coast in vacuum to enter orbit.) So the Constellation planners switched to a different engine, a variant of the old J-2S engine from the Saturn V, although significantly updated and modernized. But because this upgraded engine, the J-2X, had lower performance than the shuttle engine, in both fuel economy and thrust, the planned first stage (a supposedly standard shuttle solid rocket booster) was no longer capable of getting the vehicle to orbit with the specified payload. So NASA decided to add a fifth segment to the first stage of the Ares I. Unfortunately, this meant that it would not be able to use just existing off-the-shelf components; it would require the development of essentially a new motor, an expensive and time-consuming prospect. Thanks to these changes, the schedule started to slip and the costs ballooned — so that money was shifted to Constellation from other NASA programs, including other exploration programs. Admiral Steidle’s Research and Technology program — intended to allow useful things to be done in space — was eliminated. So was the NASA Institute for Advanced Concepts, roughly the space agency’s equivalent of the Pentagon’s futurist DARPA. In much the same way that the growing cost of the International Space Station had depleted funds for actual research performed on the station, the Constellation program was starting to devour the seed corn of the new exploration agenda. The situation worsened. In early 2008, it was revealed that the shuttle-derived solid rocket boosters used in the first stage of the Ares I would suffer from severe thrust oscillation. These oscillations could potentially damage the Ares I upper stage and the crew systems — potentially injuring or even killing the crew. (These oscillations are a characteristic of all solid rocket motors, but they haven’t been a major problem on the shuttle because the shuttle’s boosters are shorter — and therefore oscillate at a different frequency — and because the vibrations are dampened by the large fuel tank. Even so, any shuttle astronaut will tell you that the ride gets much smoother once the solid rocket boosters are jettisoned.) Proposed solutions to the oscillation problem — which cannot even be fully understood until actual flight tests, several years and billions of dollars later — involved adding further complexity and weight to the already-overloaded vehicle. By the spring of 2009, as a result of these and other problems, the schedule for the first operational flight had slipped from the original 2014 to 2015, with a very low confidence level of even hitting that date, thus widening “the gap.” And the cost estimate for development alone more than doubled from $14 billion in 2005 to $35 billion today by NASA’s own estimation — far outside the original “sand chart” budget that was part of the original announcement of the Vision for Space Exploration. It became increasingly clear that the Constellation program was in dire trouble — and not just technical and budgetary trouble, but political trouble, too. As always, space was not a major issue in the 2008 presidential campaign — although it wasn’t a total non-issue either, at least in the critical swing state of Florida, home to Cape Canaveral and NASA’s Kennedy Space Center. Senator Barack Obama’s first space policy position appeared on the “Education” section of his campaign website; it bizarrely proposed that Constellation be postponed for five years in order to fund new educational programs. This was obviously an unconsidered position dreamt up by an overzealous education staffer who probably knew little or nothing about space but saw NASA as a juicy source of potential funding for his own pet programs. This gaffe caused a minor storm among the “progressives” in the space policy community, who quickly worked with the Obama campaign to devise a more serious space policy. Their efforts worked, and candidate Obama, especially on his Florida trips, took to speaking favorably about space and describing his memories of Apollo from his childhood in Hawaii, where the astronauts returning from space first came after they were plucked from the Pacific. (Obama was seven years old when Neil Armstrong set foot on the Moon.) His campaign eventually released a formal policy paper on space that was surprisingly enlightened for any presidential campaign, including advocacy of more commercial participation. By contrast, the Republican candidate, Senator John McCain, never really had any coherent position on space, but that’s not unusual, either for him or for space, and of course, it wasn’t a factor in the race. Perhaps the most significant space-related action during the campaign came when, after finally defeating Senator Hillary Clinton in the long primary, the Obama team picked up her longtime space advisor: well-known Washington space policy analyst and advocate Lori Garver, a former NASA associate administrator. After the election, Obama assembled a space transition team consisting of Garver, George Whitesides (head of the National Space Society, an advocacy group), Alan Ladwig (a former NASA associate administrator and a commercial space executive), and others. Their job was to gather data with which the incoming administration could make decisions about NASA, and they actually set up shop at NASA Headquarters in December 2008 to facilitate the necessary interviews. Reportedly, the Obama transition team received less than full cooperation from NASA, particularly from the administrator. In one notoriously tense scene at a party during the transition, Griffin and Garver got into “an animated conversation,” according to the Orlando Sentinel. “We are just trying to look under the hood,” Garver reportedly said; Griffin replied that she was implying he was a liar and apparently said she was unqualified to pass judgment on Constellation. Despite Griffin’s desire to stay on as administrator — although never explicitly stated, it was an open secret; there was even an informal last-minute online campaign to keep him on — the Obama team asked for and received his resignation. It took several months for the new administration to settle on a replacement — months during which the Constellation program continued on amidst its technical and budget troubles, and during which Congress toyed with NASA’s budget. Finally, President Obama appointed retired Marine Major General Charles Bolden, an ex-astronaut, to lead the agency, with Lori Garver to serve as his deputy; they were sworn in on July 17, 2009.
an independent review of ongoing U.S. human space flight plans and programs, as well as alternatives, to ensure the Nation is pursuing the best trajectory for the future of human space flight — one that is safe, innovative, affordable, and sustainable. The Committee should aim to identify and characterize a range of options that spans the reasonable possibilities for continuation of U.S. human space flight activities beyond retirement of the space shuttle. The identification and characterization of these options should address the following objectives: a) expediting a new U.S. capability to support utilization of the International Space Station [that is, shortening “the gap”]; b) supporting missions to the Moon and other destinations beyond low Earth orbit; c) stimulating commercial space flight capability; and d) fitting within the current budget profile for NASA exploration activities. It is evident that NASA’s current plan does not meet the criteria set out for the Augustine committee. It is not affordable or sustainable; nor is it innovative (recall “Apollo on steroids”). It does not stimulate commercial spaceflight capability. And most certainly it does not fit within the budget profile, and it never has since NASA decided to develop new rockets to reach low Earth orbit, which precluded the agency from investing in technology that would help reach beyond low Earth orbit — which was supposed to be the point of the whole endeavor, after all. The trick, of course, will be for the committee to come up with a plan that meets those requirements but is still politically acceptable to the iron triangle of the space-industrial complex (industry, NASA, and the space patrons in Congress). Mr. Augustine must surely be hoping that past is not prologue, since he headed a similar commission once before, in 1990, and most of its recommendations were ignored. The committee should start its work by reexamining all the lessons the conventional space establishment supposedly learned in the four decades since the Apollo 11 lunar landing. From Apollo and its successes we learned that NASA can accomplish anything if given enough resources and that “failure is not an option” (though when failure is not an option, success can get very expensive). From the shuttle and its failures we learned that reusable launch systems should be avoided; that it is futile to try to reduce the cost of access to space at all; that crew should be separated from cargo. From the space station experience we learned that we should return to heavy-lift vehicles and that we should minimize, if not eliminate altogether, orbital operations. These are the lessons that drove NASA management to settle on the current failing architecture. And sadly, they are lessons shared by the promoters of several alternative plans, such as the DIRECT concept promulgated by anonymous renegades within NASA. The problem with these lessons is that they are false — broad conclusions mistakenly based on too few examples. Apollo was not a methodical space program; it was an anomalous race in the Cold War in which anything could be wasted but time. It turned out to be unsustainable and unaffordable, which is why it boggles the mind that over three decades later — during which time there were huge technology advances — Apollo was chosen as a model for a program that was supposed to be affordable and sustainable. The shuttle program didn’t demonstrate that reusable vehicles don’t work. In fact, the one reusable part of the shuttle — the airplane-like orbiter — was the only part that didn’t kill crew (the solid rocket booster was responsible for the Challenger accident, and the external fuel tank’s foam was responsible for the Columbia accident). Moreover, the shuttle program tells us nothing at all about reusable space transports that are designed to reasonable requirements and high flight rates — particularly fully reusable ones that don’t shed hardware each flight. Neither does the shuttle experience prove that we shouldn’t mix crew and cargo. All it tells us is that if we are going to build a reusable vehicle, it has to be sufficiently reliable to safely carry either crew or valuable cargo (just as airplanes are), because space transports cost too much to lose, regardless of their payloads. When Columbia was lost, we lost seven astronauts, yes. But we also lost a quarter of our orbiters. That is simply unaffordable. Cheap bulk cargo could reasonably be launched on less expensive, less reliable vehicles, but when we do develop practical space transports, the notion of throwing rockets away will make no more sense than burning a 747 on the runway after it lands with a load of cut flowers. Likewise, the space station doesn’t teach that we must avoid assembling things in orbit; if anything, it shows that orbital assembly can be very effective when building something large out of many smaller pieces. That it took so long and cost so much is attributable to the constraints of the shuttle (and of the co-opting of the station for diplomatic ends). For that matter, the several repairs to the Hubble Space Telescope, various satellite repair missions, and the first Skylab mission back in 1973 show how even complicated and dangerous repair and servicing operations can be successfully conducted in orbit. To get past the misperceived lessons of the past four decades and to develop a “safe, innovative, affordable, and sustainable” plan for manned spaceflight, we must begin by stating plainly why we should go into space, for the why gives shape to the how. We should have massively parallel exploration — and not just exploration, but development, as it has worked on every previous frontier. We need to expand the economic sphere into the solar system, as John Marburger, George W. Bush’s science adviser, used to say in his speeches. We need to think in terms of wealth creation, not just job creation. That would be “affordable and sustainable,” almost by definition. You may say I’m a dreamer, but I’m not the only one: Apollo left many orphans. But it’s not a dream shared by NASA, successive presidents, or members of Congress, at least to judge by their plans over the past four decades. We have had a monolithic government space agency for half a century at a cumulative cost of roughly half a trillion dollars (in current-year dollars). If we are going to continue to spend that order of magnitude of money — as, for political reasons, it seems we are going to do indefinitely — we should at least have something more to show for it than just a couple hundred brief trips to orbit for elite civil servants at an average cost over that period of about a couple billion dollars per flight. NASA needn’t do all the work of making space affordable and sustainable, but it ought to do something. To put it another way, it isn’t NASA’s job to put humans on Mars; it’s NASA’s job to make it possible for the National Geographic Society, or an offshoot of the Latter-Day Saints, or an adventure tourism company, to put humans on Mars. High marginal costs will forever constrain the level of activity that’s possible. That was true of Apollo, it is true of what NASA currently plans with Constellation, and it is true of any Constellation-like architecture (such as DIRECT): every flight will require throwing away tens if not hundreds of millions of dollars worth of hardware. If we were, say, to discover something on the Moon really worth going after, our ability to ramp up activity with Constellation would be severely limited by our budget. Low marginal costs provide scalability, which is essential for any technology that is going to open up large new markets. NASA’s plans completely lack any understanding of this crucial principle. The principle of low marginal (and average) costs was why the shuttle was created, except that it ended up combining the worst of all cost worlds: the shuttle has high fixed costs (for the standing army needed to service it), high average costs (resulting from the low flight rates), and high marginal costs (due to the hardware thrown away with each flight). When you hear that a space shuttle flight cost hundreds of millions of dollars, that figure is an average cost — the annual cost of the overall shuttle program divided by the number of flights that year (dividing the total cost of the shuttle program since its inception by the total number of flights would result in a yet higher number). The actual marginal cost (the cost of flying one more mission, given that you are already flying) is much lower, at most $150 million — still ridiculously high, but comparable to other launch vehicles with much less capability. How does Constellation stack up? Let’s ignore the crew module Orion and just look at Ares I, the crew launch vehicle. A recent Aerospace Corporation study estimated that the total cost of the Ares I program — all the costs of the program from inception to grave — would be $19 billion for fourteen flights. This figure was obviously based on the initial development cost estimate of $14 billion; using the current estimated development costs of $35 billion, the total cost for Ares I would actually be about $40 billion. Even under the most charitable interpretation of the numbers — not including all the development costs and generously assuming four flights per year and fixed costs of just $1 billion per year — each Ares I flight would still cost roughly the same as each shuttle flight, although with much less capacity. And that figure doesn’t include the Orion capsule, let alone the Ares V heavy-lift vehicle with all the expensive lunar mission hardware aboard. Each lunar mission, in this architecture, will cost several billion dollars. Mike Griffin was wont to compare Constellation to the U.S. Interstate Highway System. But the interstate was a national investment that resulted in a system with very low marginal costs and affordable for all. Anyone with a car could get on it, drive at high speeds, and just gas up when they got to a station. Its network of roads was also a boon to national security (which was in fact its initial justification). By contrast, Constellation (and any similar architecture) doesn’t just fail to support national security (thereby ignoring one of the Aldridge commission recommendations). It is also a huge money sink that will result in a system with high marginal costs, low flight rates, and only for use by government employees. The only reliable way to lower marginal costs is to pursue full reusability — that is, to make the entire spacecraft, including the launch vehicle, reusable. To return to our analogy, the restaurant is the vehicle fleet, facilities, and staff to service it. The food is the propellant. The first flight is hugely expensive. After that, costs will drop rapidly. The ultimate floor on the marginal cost of any form of transportation is the cost of the energy required to get from one point to the other. Getting to orbit is not that different, energetically, from flying across the Pacific, and there’s no reason that we shouldn’t be able to lower the marginal cost of getting to orbit to within an order of magnitude of the marginal cost of air transport, given sufficient demand. The critical requirement of a reusable space system is refuelability. Consider a thought experiment from an earlier frontier. Imagine that, on the settlers’ hard trek to the western United States, there had been no vegetation along the way for the wagon-pulling horses or oxen to eat. To get across the country, each Conestoga would have to carry enough hay to feed the animals (not to mention supplies for the pioneers for months). The wagon would have been so large that the animals wouldn’t have been able to pull it. The longest distance that could be traveled would be dictated by the largest size of wagon that they could pull when it was full, and the initial speed would be very slow, picking up as the wagon grew lighter. Once the final destination was attained, the wagon and the animals would be useless without more fuel, so presumably the wagon parts would be used to build a cabin or saloon. In reality, of course, such a system would never have been affordable; had the settlers not been able to avail themselves of food and water along the way, the West would never have been settled. Now apply that logic to space. The vast majority of the payload for heavy-lift launch vehicles is the propellant needed to send a relatively miniscule spacecraft to the Moon (or Mars or whatever destination) and back. Recall the Apollo missions’ gargantuan Saturn V rocket; the tiny capsule atop it was all that came back. And much of the propellant used by Saturn V was needed just to deliver into space the propellant that will be used for the trip back, since there were no gas stations on the Moon. The Apollo missions’ marginal costs were astonishingly high — but acceptable in the context of a race, since we did not have the time to set up the infrastructure, the needed service stations for fuel and food, along the way. The lack of refuelability shapes every aspect of the Constellation architecture. Why is it that Constellation, like Apollo before it, will discard each lunar lander? Because, at current launch costs, it is very expensive to deliver the propellants needed to reuse the lander — more expensive than the cost of the hardware. It is cheaper to simply throw it away and send another one. But if it were possible to refuel on the lunar surface, and in lunar or other high Earth orbits, a lander and other transportation elements could be reused many times for trips between those nodes. Reusing space elements like the lunar lander is feasible with current technology — but it would require the presence of “gas stations” at which such spacecraft could refuel, which in turn would require an infrastructure of transporting and manufacturing propellants at much lower cost. Broadly speaking, then, if we want to make human spaceflight affordable and sustainable, we must develop an infrastructure that makes it possible to refuel in space. A person might reasonably object that refueling makes no difference: we will still have to pay to get the fuel into space (or to the Moon or wherever), whether it is sent in the fuel tanks or is sent in some other container. What, in the end, do we save by sending fuel ahead of time? There are three responses to this. Second, in a space infrastructure that permits refueling, the means of getting propellant to a depot will not necessarily be the same as the means of getting other hardware there. After all, gas stations are resupplied by tanker trucks, not automobiles. This results in economies of scale, and it can also dramatically reduce transportation costs — because while manned spacecraft will generally be in a hurry to get places, propellant tankers can move more slowly so long as there is a steady supply of other tankers. Thus, while manned spacecraft must use high-thrust propulsion with low fuel economy, propellant tankers can use much more efficient propulsion systems, such as ion thrusters (an existing technology already used on communications satellites), dramatically reducing the cost of propellant delivery. As long as there is demand, a series of tankers in continuous motion would ensure that depots are always near full at low cost, just as there is a steady stream of slow oil tankers every few miles in the oceans between Japan and the Persian Gulf. Not only might lunar resources be used to fill up the tanks of lunar landers, but the Moon might conceivably become a regular source of propellant, or at least the oxidizer component of propellant, for the entire fuel infrastructure. With a production infrastructure in place, propellant made on the Moon could become cheaper in space than propellant made on Earth and shipped to space, since it would not have to be freed from Earth’s gravity well. Later, propellant might be made from resources found on asteroids or comets (which, because they hold water, could provide the resources needed for both fuel and oxidizer), further reducing the demand for propellant made on and launched from Earth. In short, a space-refueling infrastructure would vastly reduce the cost of propellant (the vast bulk of the mass required for extraterrestrial exploration), it would allow full reusability of all transportation elements (at first between Earth and the Moon, and eventually out into the solar system), and it would result in low marginal transportation costs and great scalability. 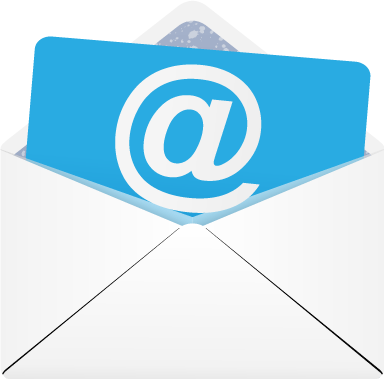 There is another key advantage to this approach, one that will be felt right away. Propellant is cheap — liquid oxygen costs about the same as milk — and almost infinitely divisible, so it can go into orbit on less reliable (and presumably less expensive) vehicles of all sizes, with cost being the deciding factor. This would create a market for reusable space transports that may not yet be trusted for carrying passenger or expensive cargo, but could deliver the low-cost payload of propellant at a low financial risk. This opens up business opportunities for anyone who wants to provide access to orbit to sell propellant into the fuel infrastructure. Propellant could be as fungible in orbit as oil is on Earth. This would satisfy two key requirements of the Aldridge commission that NASA has heretofore ignored — supporting commercial providers and incorporating international partnerships, without becoming too dependent on any single business or country. The proliferation of profit-seeking private enterprises heading into space could result in a robust diversity and redundancy of launch capability, so that if any particular launch system is temporarily grounded (as the space shuttle has been twice), overall access to space will not be devastated (just as temporarily grounding a particular type of aircraft does not shut down the airline industry). In this space-refueling infrastructure, propellant would be cheaper, flight hardware wouldn’t have to be as heavy, and alternative launch vehicles would flourish. Every year that we starve the kind of research and technology that would make this possible and instead spend our money on mega-launchers like the Ares V is another year that we delay developing a truly sustainable space transportation infrastructure — and becoming a truly spacefaring people. The space-refueling infrastructure I’ve proposed is silent on the question of the optimal way of reaching low Earth orbit. This is a decision best left to the market. But NASA’s Constellation approach is too costly and too much of a fragile monoculture to provide affordable and reliable access to space. There are already several existing private launch providers, with more starting up all the time, and they are seeking a variety of innovative ways to put humans and cargo into orbit. United Launch Alliance (ULA, a joint venture of Boeing and Lockheed Martin) has two proven vehicles — Atlas V and Delta IV — that could be made safe for transporting humans. SpaceX has a rocket sitting on the launch pad in Florida, expected to have its first flight this year; it was designed from the beginning to be capable of delivering SpaceX’s crew capsule, Dragon, to low Earth orbit. Other companies are developing reusable suborbital vehicles designed for high flight rates and low marginal costs; this experience will allow them eventually to advance to orbit, particularly if they can make money by delivering propellant as part of an extensive flight test program prior to operations with more valuable payloads. Bigelow Aerospace is building and launching inflatable orbital habitats that could, over time, be used as boarding houses for workers at orbital assembly facilities and propellant depots. One issue that frequently arises in discussions about private spaceflight is the matter of safety. Will it be safe to trust our precious astronauts to private launchers? Let us be clear: Perfect safety does not exist on this side of the grave. “Safe” and “unsafe” are not binary conditions. All we can do is to make things reasonably safe — keeping in mind such factors as expense. If our attitude toward the space frontier is that safety is paramount, that we must never lose an astronaut, then that frontier will remain closed. If our ancestors who opened the West, or who came from Europe, had had such an attitude, we would still be over there. It has never been “safe” to open a frontier, and space is the harshest frontier man has ever faced, but fortunately, we have sufficiently advanced technology to allow us to do it anyway, and probably with much less loss of life than any previous one. NASA has developed a system for determining whether spacecraft or launch vehicles are safe enough for transporting its astronauts; spacecraft so deemed are said to be “human-rated.” In practice, this is a useless term, wielded arbitrarily and inconsistently over the years, and it serves to frustrate and confound serious analysis by its simplistic implication that there is a bright line dividing the safe from the unsafe. No NASA vehicle — including the space shuttle — has met the agency’s own human-rating standards since the 1960s. Given its arbitrary and politicized application, private companies should not waste their time formally having their spacecraft human-rated. Whether SpaceX and its Dragon capsule, or ULA and its launchers, private companies should make their spacecraft as safe as they can afford to without losing their customers. Private individuals willingly climb Mount Everest every year (and many have died trying); within reason, private individuals should be left to their own recognizance when it comes to flying on a private vehicle in space. NASA’s unwillingness to allow its astronauts to take similar risks bespeaks a lack of seriousness about our national space endeavors. When Columbia was lost in 2003, the nation’s mourning was made bitter by the realization that the astronauts died after circling the Earth rather than actually exploring beyond it. Just as war is too important to be left to the generals, man’s future in space is too important to be left to NASA. After President Reagan proposed the creation of a national missile defense system in 1983, it became clear that the U.S. Air Force was not properly organized or motivated — and so a new agency was created to pursue the president’s vision. The new agency, today called the Missile Defense Agency, was very innovative and made great progress because it could focus on its one goal. Along those lines, the Bush administration might have done well to establish an Office of Space Development (with “exploration” being merely a means to an end) that could draw on other federal resources — not just NASA, but the Departments of Defense and Energy — as well as the private sector. Of course, an independent space development organization with such power would be politically unfeasible. But that is part of the problem: our sclerotic space agency is subject to forces of legacy politics; it protects existing bureaucratic structures and emphasizes jobs over achievement; and it perversely rewards failure with more funds and punishes success with budget cuts. Short of an independent entity, the Augustine committee should at least revisit the Aldridge commission’s recommendation of converting the NASA centers to FFRDCs. Assuming, though, that NASA in roughly its present form is here to stay, what should the Augustine committee recommend to put the agency back on the right course? First, there is great irony (as space blogger Clark Lindsey has noted) in the fact that NASA has not successfully developed a launch system in decades, with many failed attempts, whereas it has developed many techniques and technologies for orbital assembly and operations — and yet it is pouring billions of dollars into the former and neglecting the latter. Critics often bemoan NASA’s abandonment of Saturn rocket technology upon the end of the Apollo era. But to abandon the orbital assembly and operations technology developed during the shuttle era — as the Constellation architecture implicitly does; it doesn’t even call for an airlock on the new crew capsule for the crew to conduct extravehicular activities — would be a much greater tragedy, because unlike the Saturn infrastructure it actually offers a path to a future of abundant low-cost space activities. Donald Rumsfeld, the former Secretary of Defense, infamously remarked that “you go to war with the army you have.” NASA should have planned on going to the Moon with the launch vehicles it had and not those it wanted to have; in retrospect, the agency should have been explicitly forbidden from developing a new launch system. Billions have already been wasted in developing a redundant launch capability when the focus should have been on getting beyond low Earth orbit. The space agency must finally, after half a century, be a good customer, and provide a market not for cost-plus contractors to build hardware at their direction, but for private transportation services. The Commercial Orbital Transportation Services (COTS) program should be revitalized with additional funding, new entrants should be invited, and its role should be broadened far beyond the current charter to service the International Space Station — to supporting exploration itself. In addition, COTS D (for delivery of crew to the International Space Station in addition to cargo) should be immediately funded, to provide redundant means of getting passengers to and from orbit and the space station on American hardware. A robust COTS program, in combination with a requirement that companies begin to deliver hundreds of tons of propellant into orbit each year, would provide enough traffic and competition among launch providers to finally start to drive down the cost of access to space. This would be a welcome change from the stagnation of high launch costs over the past few decades, and an improvement over the promise of still higher costs from Constellation. The aim should be to develop architectures that are not dependent on any particular launcher but that are redundant both in their ability to get to orbit and to travel between nodes beyond Earth. Third, the savings from avoiding the development of unnecessary new launch systems should be spent on resurrecting the Research and Technology program initiated by Admiral Steidle. Specifically, NASA should work on developing the tools and techniques needed to store and transfer cryogenic propellants in orbit. The agency should begin to define requirements for (redundant) propellant depots, and perform studies on optimal locations for such depots. NASA should perform experiments in propellant handling at the International Space Station, and it should lease space in a Bigelow orbital habitat at low inclination as a testbed for orbital transportation support operations. The agency should do with its space transportation needs what the U.S. Postal Service did with its airmail needs back in the thirties: create a vibrant new transportation industry. And it should provide the kind of technology development support that NASA’s predecessor, the old National Advisory Committee on Aeronautics, did for aviation in the first half of the twentieth century. Let us finally abandon our race with the Soviet Union, the race we won four decades ago against an adversary two decades vanquished and vanished. We don’t need to remake Apollo; we need to open up the new space frontier the way the old American frontier was opened. Let us unleash private enterprise and create not just jobs but true wealth. Let us innovate and find new ways for free men and women to use new resources. And let us work hard and risk greatly in the pursuit of our individual dreams — for it is those dreams, and our countless failures and triumphs along the way, that will determine man’s destiny beyond the Earth. Rand Simberg, "A Space Program for the Rest of Us," The New Atlantis, Number 25, Summer 2009, pp. 3-27.